State of the Union: CAN or SHOULD? Tonight, President Barak Obama will deliver his final State of the Union address. Undoubtedly his address will be less about how we are doing and more about what we should (or should not) do. Make no mistake, this will be a stump speech for his choice of a successor. The gallery of Congress will be filled with guests tonight. Those guests will be there to “say something” much more than to hear a speech. Their very presence will make a loud declaration. One of the guests of the President tonight will be Major Lisa Jaster, a US Army Reserve Soldier from Houston, Texas. Major Jaster gained recognition by being the third female to graduate from the Army’s premier leadership training course, the United States Army Ranger School. Major Jaster will be introduced as an example of how far our country has come with regards to women – particularly their abilities and responsibilities as compared to men. I have no problem so far. 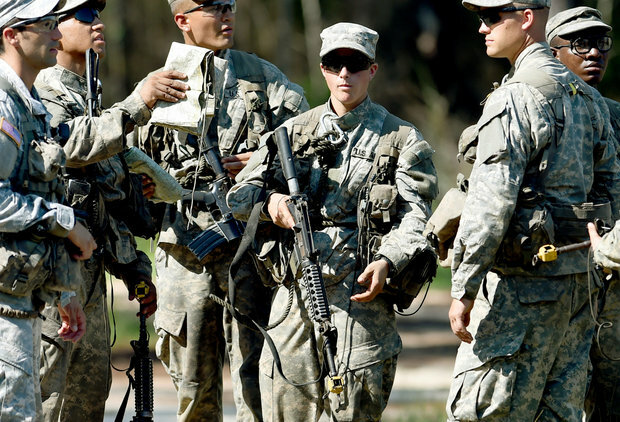 Many have questioned whether the standards for Ranger School were lowered for Jaster and two other women who first were the first female graduates. Ranger School is a 62 day grueling course that induces massive stress and demands leadership decisions. Less than 1% of Army Soldiers ever graduate from this course. Given that less than 1% of Americans serve in the military in any capacity, this is indeed an elite group. You can see why some have questioned whether standards were lowered in order to graduate these women as a political statement. As a Ranger School graduate (April 2006), I am not going to question whether these women “suffered enough”. No matter how you cut it, this course is brutal. This was perhaps especially so for Jaster. She was 37 when she graduated. I was 4 days short of my 38th birthday when I graduated. Most Ranger Students are in their early 20’s. The body certainly reacts different to malnutrition and sleep deprivation when you approach 40 then does the young whipper snappers. Ten years later, I still feel the effects. I can’t speak to the standards being changed for the ladies. I THINK, I BELIEVE there were times in Ranger School when my Ranger Instructors looked at me and thought “That dude is old. He is not going to make it too much longer.” I don’t know if that influenced their judgments when the spotlight was on my leadership performances. Were standards changed for an old chaplain? Don’t know. I do know, or at least highly speculate, that tonight’s spotlight on Major Jaster won’t be about those standards. It will be a proclamation that women’s rights have moved forward in the Obama administration. For me, that’s not the real issue. The issue is not CAN women do the same things in the military, and consequently throughout all of our culture…but SHOULD they. Here is where I have a problem. Women were a part of virtually every mission I was on during my three combat tours. Women are on every resupply convoy – certainly one of the most dangerous missions given the development of the Improvised Explosive Device. Women served in every unit in which I was assigned – all were combat units except my days at Arlington National Cemetery. During 34 months of combat deployment, I saw women perform at a high level in their given MOS’s (military occupational skill). However, we generally do not have women walking patrols on the ground – the most likely scenario for deadly firefights – the job of infantrymen and Rangers – the very jobs now being opened to women. For me, and really for our nation, the question has moved from the ABILITY of women to the ROLE of women. For some, there is no difference. From a biblical worldview, there is a world of difference. While the American culture largely wants to see the Bible as oppressive toward women, great freedom can be found in understanding some simple truths taught throughout the Scriptures. Men and women possess distinctive roles. This is nothing new in American culture. This view was developed from a widely held biblical worldview of the sexes. Men were given a leadership role. Women were assigned a supportive role. Men took on the duty of protector. Women naturally became the nurturer. A multitude of differences exist. Men and women were created equal. Have equal value before God. The sexes are equal in personhood. But each maintain distinct and unique roles – in family and in society. From Genesis 1 (before the fall and invasion of sin) to Ephesians 5 and throughout all of Scripture, we find unique expressions of differing roles among the sexes while retaining equality in value and personhood. But our culture has clamored for something different. And as is the case for most cultural issue, the military has become the petri dish in which to advance this philosophy even further. Most who will read this blog know the arguments. As it usually does, it boils down to whether or not you WANT to hold to the biblical worldview of men and women held and taught in orthodox Christianity for millennia. And don’t be fooled: this is not just about roles of men and women in the military. This strikes at the heart of the definition of marriage, of sexuality, of gender identity, and of the very definition of personhood. It probably reaches as far as who gets to use which bathroom. The question I don’t think America wants to affirm is “Do we intentionally risk having our girls, our women, blown apart in the ruthless warfare we see being waged against us today?” I have seen the carnage with my own eyes at the hospitals at Kandahar Airfield, Afghanistan, in Tal Afar and Balad, Iraq. Too graphic to put in writing here. For most of us, we wouldn’t want to affirm that for our men either. But it is a reality. War is a reality. A biblically affirmed reality that many times ends in tragedy. I know. More than 50 times I have sent brothers home in a flag-draped casket. Most of those I met at the back door of a military hospital as they were carted in off of a Blackhawk helicopter. I saw many mangled bodies, and watched some take their last breath. I escorted one Soldier-wife to her deceased husband’s side. The trauma of the way in which these combat Soldiers died – the “how” – can be as haunting as the fact that they are gone. I cannot fathom – won’t even let my mind go there – how the families, the units, fellow Soldiers, myself and a nation would react if even a few of those were females. Women we INTENTIONALLY placed in those situations. I will watch tonight. 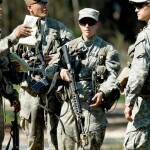 I will be proud of Major Jaster who completed the Ranger School as a 37 year old female. I will not question whether the standards were lowered. Not whether a woman CAN. But whether a nation SHOULD. I usually only watch the State of the Union to see the reaction of the Joint Chiefs — especially now since Joe Dunford is the Chairman. They handle the spectacle with the appropriate amount of outward display — disciplined and dispassionate. One story that often gets buried and is probably only followed by those in the family called Marine, is that over a 2 1/2 year study period that ended in April 2015, no female ever passed the Marine Corps’ Infantry Officer’s Course. The Marine Corps is still struggling over the “could” and “should” of females serving as infantry officers. That decision of “could” was made for them this week by an order from the SECDEF and SECNAV that all jobs would be integrated. The concern among those in the Marine Corps is that due to cultural pressures to meet a quota, the existing standards will eventually be lowered to accommodate a greater success rate. Although there was the study that lasted over 2 years in which no female passed, there still may be future female applicants that will pass the course. Only time will tell. Granted this just speaks to the continuing struggle to force equality through changing of standards in the current worldview — which one could argue is demeaning in and of itself. I’ve known many strong women in my life. Both of my grandmothers raised children by themselves during the Dustbowl and Depression. (One of my grandmothers was born in 1880, the other in 1907). They had a hard farm life — no electricity at times, killing rattlesnakes to protect their kids, crank starting tractors, etc. as well as “woman’s work” and raising kids. They were very attractive, petite widows that kept their dignity. Other examples are those I’ve known as officers in the Marine Corps and Navy. I have the privilege of knowing a retired Navy Commander (trauma nurse) that is in her 70’s and has been married for over 50 years now. She has a lot of great stories and absolutely loves Marines. She also knows the horrors of treating the wounded. I would challenge those thinking that the current cultural/political movement is a good thing to have a conversation with her. I’m not really sure that person would survive the encounter. What’s really “special” (which is actually normal) about her is that she maintains her femininity. She’s a remarkable woman, wife, mother, and veteran. None of these women ever had any reason to question their importance and value — or viewtheir ROLES as demeaning or unimportant. I agree with you that looking from a biblical worldview into our current culture, it’s the ROLE of a PERSON, that continues to be shaped, redefined, and often devalued and disrepected in society that is a greater battle to face. When we seek our value in how the world sees us and not in our true value in Christ, we weaken ourselves and society.